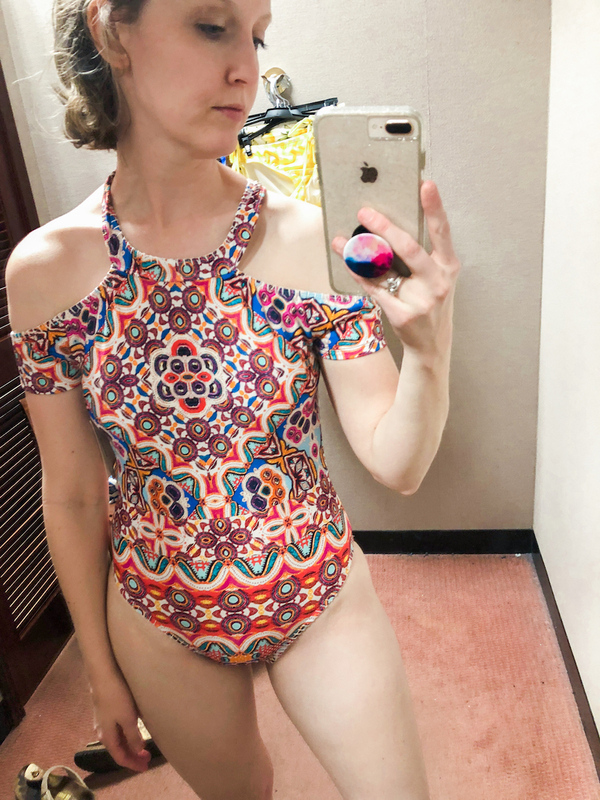 It's warming up in Texas, and swimsuit season is around the corner! 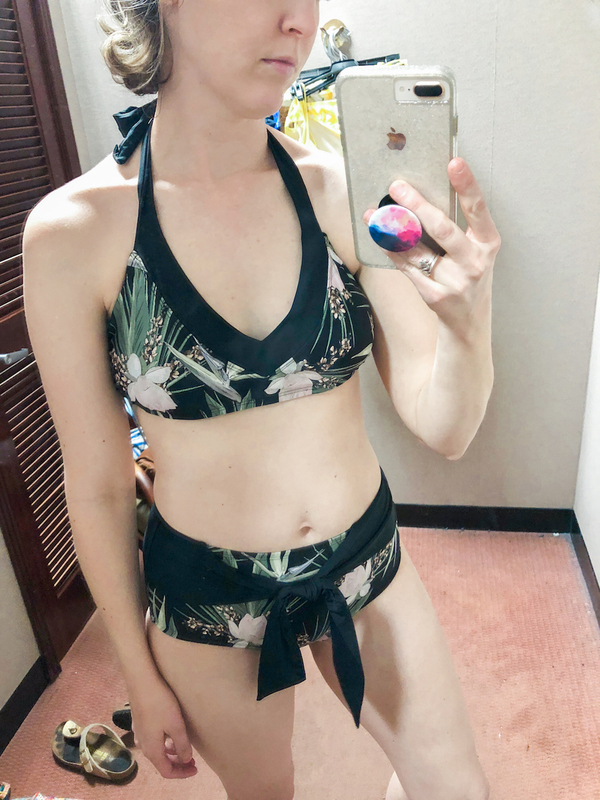 I won't be going on any extravagant beach vacations this year, but there's no shame sporting a cute bathing suit at the neighborhood pool ; ). 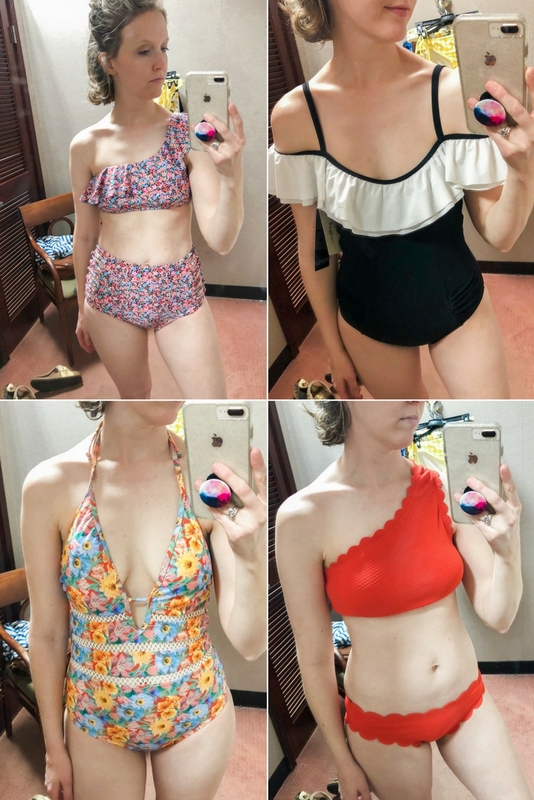 I'm rounding up some of my favorites from Dillard's in this post! For reference I'm 5'8" and 130lbs. 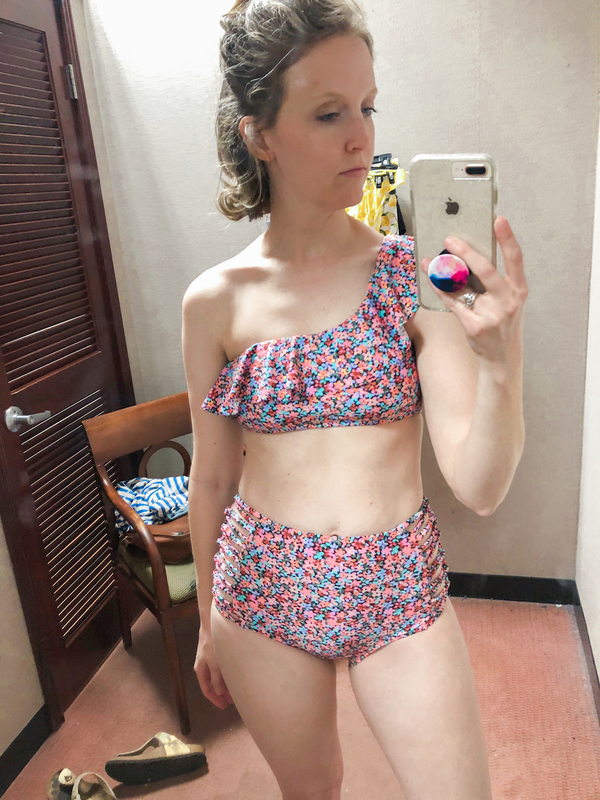 I'm wearing a size medium in one-pieces, medium in bottoms and small in tops. You will find each item linked under each photo! Please let me know if you have any sizing questions. 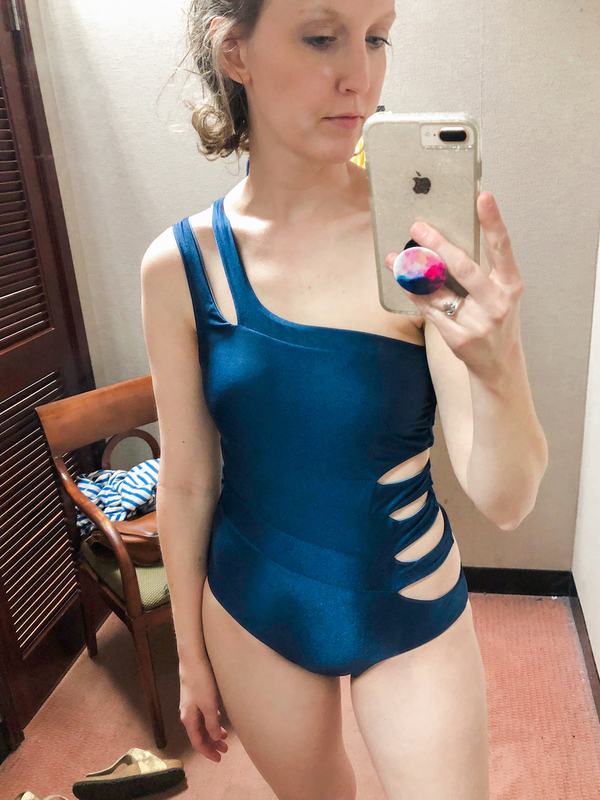 One-Piece - One of my favorites!